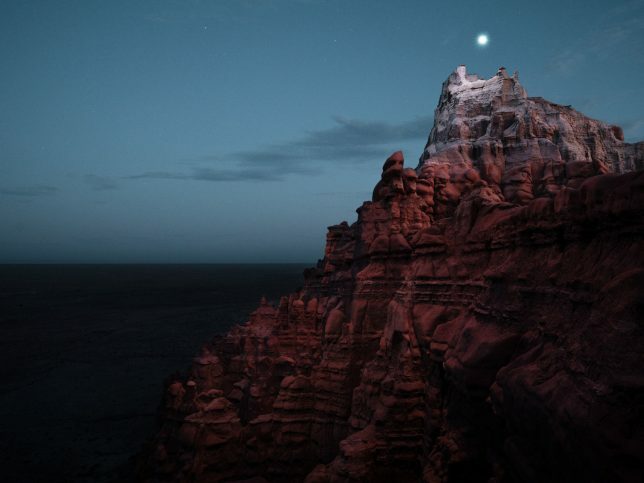 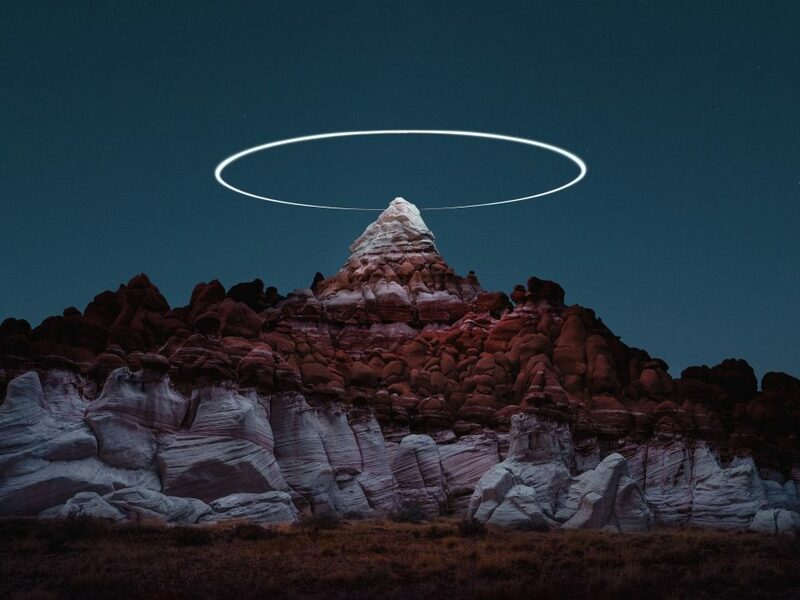 Circling drones cast soft light on landscapes below (and create UFO-style patterns in the skies over) gorgeous natural settings in this series of surreal nature images by photographer Reuben Wu. 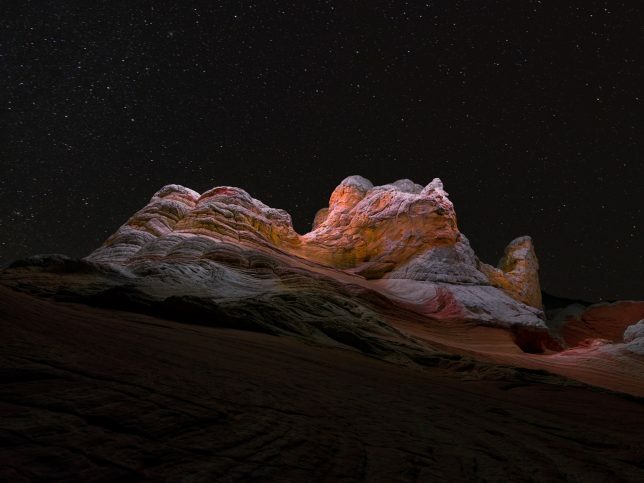 Dubbed LUX NOCTIS II, this series follows up on a previous set of ground-illuminated works created in a similar vein. 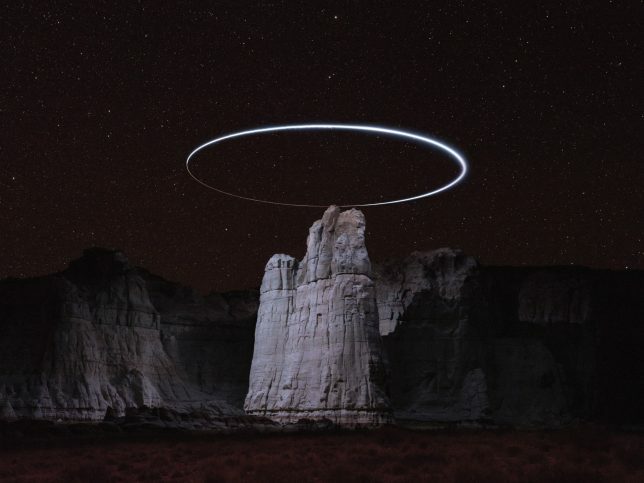 But in this case, the use of drone technology adds a fresh dimension to the sequel imagery, both in terms of the quality and source of light as well as the figures created by the aerial micro-vehicles giving it off. 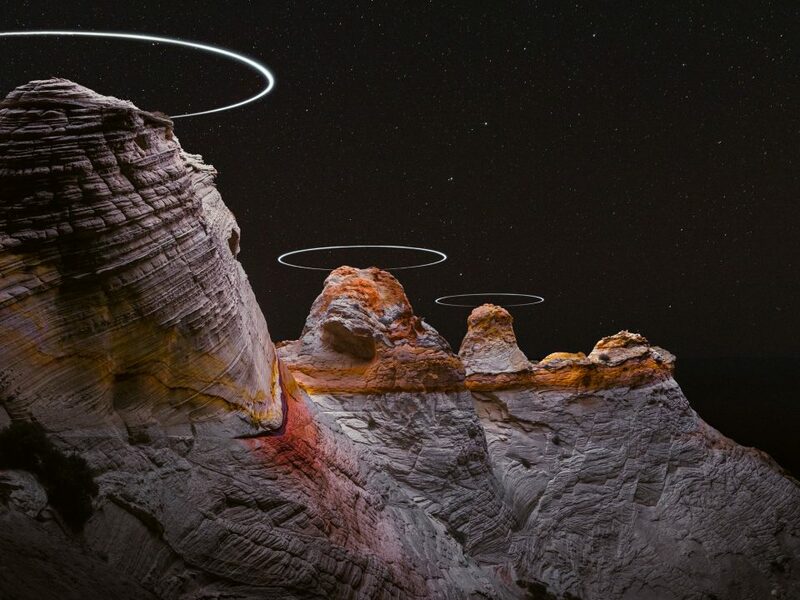 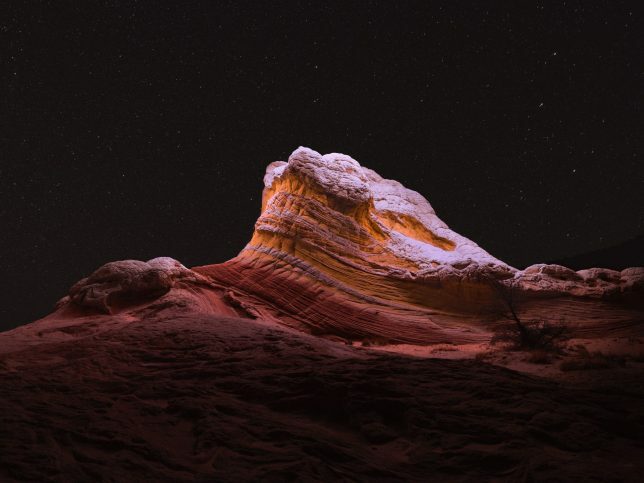 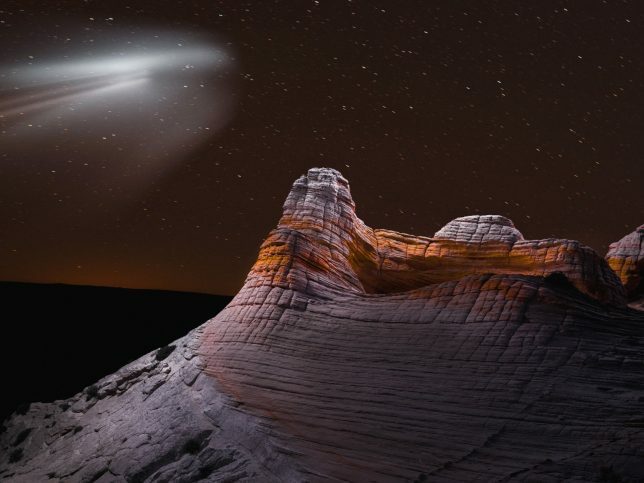 The photographer has traveled around the world to capture sandstone mountains, bubbling volcanoes, gorgeous lakes and rivers, often employing (natural or artificial) light to set the scene. 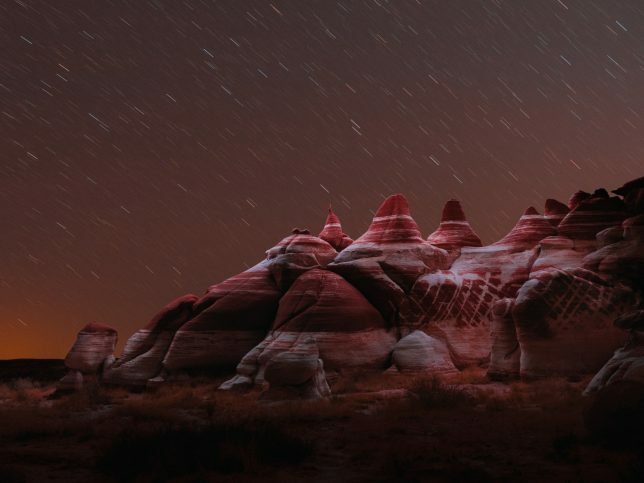 Light other time-lapse light art, his works trace patterns that are only fully visible once a photograph is taken, which in turn highlights the exposure time in play within each piece (sometimes also visible through star patterns in the backgrounds).